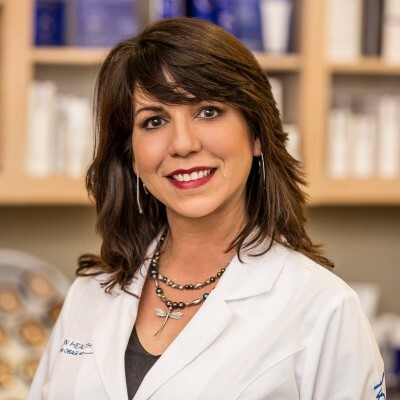 Dr. Ode Young has extensive experience in the medical field spanning over 20 years in the Texas Hill Country, with nine years devoted to medical aesthetics and cosmetic laser. Her medical education includes post-graduate training specializing in Rheumatology and Internal Medicine from Baylor College of Medicine in Houston, Texas. Born and raised in Puerto Rico, she moved to Kerrville with her husband, Jim, to raise her family. Dr. Young was drawn to aesthetics because of her artistic background and passion as a physician to help people. She always had an appreciation for art, an ear for music and an eye for beauty. These skills are vital in aesthetic medicine. She states, “Aesthetics have allowed me to assist my clients in bringing forth their self confidence and a healthy self-image”. As a medical professional, she is committed to researching and investing in the most advanced products, cosmetic science and technolgy available. This allows her clients to access progressive, cutting edge technology to achieve optimal results. Her unique approach to beauty enhancement is based on listening to client’s concerns, providing treatment options and allowing their goals to guide the process.